We would like to share some important e-safety information with you. We have become aware of the Momo challenge. This targets children online via WhatsApp and indirectly via social media and YouTube. Children are encouraged to contact a user named Momo and they are instructed to perform a series of very dangerous tasks. These may ask children to self-harm and may promote suicide. Messages can be accompanied by frightening or gory pictures. The children are pressured to complete tasks and if they are not completed then graphic threats are sent to the child including threats to harm their family. It is essential that parents and carers of primary age children understand and monitor what their children are doing on line. We thought it might be helpful to provide the attached guidance supplied by the local authority safeguarding team containing excellent information and advice for parents. School Meal Tasting Session Wednesday 23rd January at 3.15 p.m.
Everyone is welcome, so please call in. Members of Totally Local Catering Team will be available to discuss the menu and answer any questions you may have regarding the catering service. As a team, we are passionate about providing high quality, diverse and nutritional meals. We work in full partnership with your school to engage with your children and encourage a culture of healthy eating. Creating delicious and healthy menus that your children want to eat is our priority. Through our role, we help your children learn at a young age, that eating well can be fun and that food is central to their health and energy. Each day, we provide your children with a delicious, wholesome hot meal. This is complemented by vegetables and salad, in addition to vegetarian options and options for those with special dietary needs; and of course, a dessert and variety of drinks. Catering for all pupils and staff, we will also work with the school to create a menu that meets the needs of any special diets. We know it’s important to make healthy eating fun. Throughout the year we hold ‘theme days’ and competitions to encourage your children to think and healthy food in a positive way. The food we use is locally sourced wherever possible. Over 85% of our menu is produced from raw ingredients by our professionally qualified staff. The meat in our dishes is Red Tractor, Freedom Foods or Halal certified. 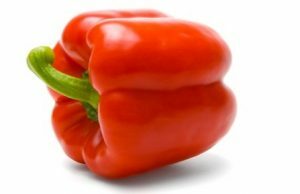 We procure fresh quality produce via reputable suppliers to ensure complete traceability of food. Our current menus meet all food based standards and allergen laws; they include: Red Tractor or Farm Assured Meat and Poultry, fresh quality fruit and vegetables, two of the five daily portions of fruit and Marine Stewardship Council approved fish. All of our preparation and menus meet the full requirements of the food based standards and allergen laws. As you may already know, Monday 12th November is the start of this year’s BBC Children in Need Appeal Week. Thorn Grove is excited to be joining in with other schools across the UK to participate in fundraising for this good cause. This year’s theme is ‘The Big Spotacular’ and we will be celebrating with a spotty themed non-uniform day on Thursday 15th November 2018. Think big or small – full spotty themed outfits and face paint or just a pair of spotty socks – we welcome and encourage it all! To help raise funds for Children in Need we ask anyone wishing to wear something spotty to bring in a suggested donation of £1 on the day. As well as our non-uniform event, children will be attending a whole school assembly in which their class teachers will be participating in a spotty, pie challenge! Children will also be voting for 1 member of their class to compete in the child friendly version. We can guarantee it will be a side splitting event. Thank you for your continued support and let’s make a big difference to the lives of children across the UK. As part of our year-round initiative to Walk to School more, we are encouraging the children at Thorn Grove to take part in Walk to School Fortnight which will take place this week and next week (8th – 19th October). Walking to school benefits everyone: it’s healthy, it can improve well being, and it can help to reduce pollution and congestion. Walking is a more sociable activity and can enhance children’s road safety skills and awareness. We would like to ask all our pupils and parents to walk to school wherever possible throughout the next two weeks. Teachers will be completing a tally of how many children in each class walk to school each day. Our Eco-Warriors will be working closely with me to work out which class has walked to school the most, and the class with the most walkers may just be in for a treat! Instead of just walking, you may want to travel to school on a scooter or bicycle. We understand that it is not always possible to walk to school if you live far away. Instead of driving the whole distance to school, you might want to try and park a few streets away and walk some of the distance to school. Every little helps! Stockport is one of the worst funded education authorities in England. Even with the new funding proposals our children receive less money per pupil than many of the local Greater Manchester authorities and we currently sit in the worst half funded of schools in the country having previously been136th of 150 authorities. On average this looks like around £1000 per pupil less than learners who attend Manchester schools. Representatives of primary and secondary head teacher groups met with Damian Hinds in June to put forward our case for better funding. They explained the great divide between our schools funding and others in the country and the impact that this was having on our schools. School leaders have continued to make difficult choices to best resource our schools and provide the best opportunities for our learners but with rising costs, demands to maintain school buildings and the continuous challenge of meeting expectations for all, this is becoming increasingly difficult. Currently, we are proud of the outcomes for our children and despite the funding constraints we are able to provide quality first teaching for all. Our school budgets however, are quickly diminishing in real terms and as schools approach breaking point very difficult decisions regarding provision will inevitably have to be made. As a collective of school leaders across all phases and settings we continue to call on the Secretary of State for Education to increase funding for all those within early years, primary, secondary and special schools. We ask that as parents, you continue to lobby our local MP Mary Robinson to make them aware of our situation and to further reiterate the circumstances our schools are in. Last week, Head teachers from all over the country took the unprecedented step to illustrate their concerns over school funding by staging a march from Parliament Square to Downing Street to present a letter highlighting concerns. Stockport was represented in this march. Funding for early years childcare is also stretched, particularly as a result of the introduction of Government funding levels for 30 hours of ‘free’ childcare. School budgets are not equipped adequately to cover the basic costs of delivery. Funding for Stockport’s schools in recent years remains out of line with inflation and although some schools saw a modest increase in funding for 2018-19 this has been eroded by increasing costs including salary and pension increases, growing recruitment costs, inflation and the burden of paying into the Apprenticeship Levy. Friday 12th October is a day we would like our voices to be heard. Rather our children and families’ voices to be heard. Schools in the authority will be carrying out a range of activities to look further into how more funds could and would enhance the learning experiences for our children. Our children will be given the opportunity to share their thoughts and vision for the educational experiences they feel they are entitled to. Parents will be invited to write to and talk to local MPs to share the collective view. We look forward to a positive day of action and one where we have a chance to share our thoughts and further improve outcomes for our children. 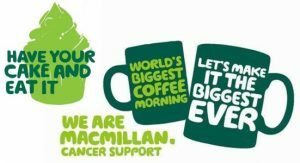 On Friday 28th September 2018, Thorn Grove will be participating in the World’s Biggest Macmillan Coffee Event. This annual event is an important fundraiser for the Macmillan Cancer Support organisation. Cancer affects the lives of thousands of families and communities worldwide and the funds raised at this event enable Macmillan to help people living with cancer and their families receive essential medical, practical and emotional support. Our afternoon coffee event will take place on Friday 28th September at 3:30pm in our school canteen where a selection of tea, coffee, cakes and biscuits will be served. Monetary donations for Macmillan cancer support will be collected throughout the event. To celebrate the community spirit of the occasion, children and staff are invited to spend the school day in a suggested purple and green Macmillan themed non-uniform – this could range from anything as small as purple and green socks or accessories to a full-blown purple and green outfit! Be creative! Any donations of cakes and biscuits (these do not need to be home baked) would be greatly appreciated. Please bring them in to school on the morning of 28th September. We hope to see everybody there to help raise funds for what I’m sure you will agree is a very worthwhile cause. Please find attached our summer term newsletter.